On Monday I went to the Icebar for a bloggers meet up called #bloggersbelowzero arranged by Lauren who is the lovely lady behind @ldnmeetup and the Icebar Head of Sales and Marketing, Tom Hunter. It was super fun and cold, but great to meet some new bloggers while catching up with some old ones. Visiting the Icebar is something I’ve always wanted to do but it never made its way up to the top of my to do list, so I was very grateful to attend on Monday night. I decided instead of writing a full blown blog post that I would create a vlog for my youtube channel so that you can see exactly what it was like, instead of me describing it to you by saying the words ‘ice’ and ‘cold’ one hundred times over hoping I was making sense. I’d strongly recommend going to anyone, even though it’s a rock theme at the moment and rock music isn’t everyone’s cup of tea you can merely just enjoy the amazing cocktails, the insane craftsmanship that went into building the room and the great atmosphere of being in there. But I think the fact it’s rock themed right now is pretty awesome. 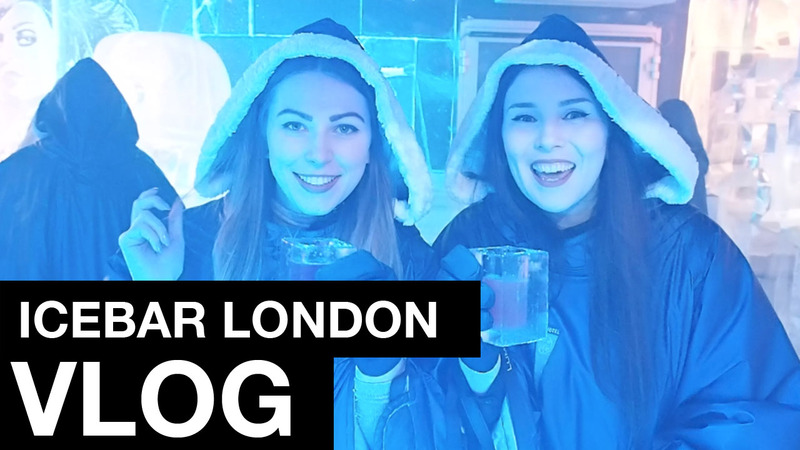 Click here to see the vlog from Icebar London! Let me know what you think of the Icebar if you’ve ever been? "Beauty Review: MAC So Chaud lipstick"
"5 Things I’ve Learnt In My Career"